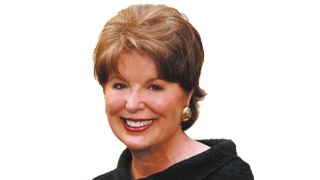 Mary Sue has been selling real estate for 30+ years and holds the Certified Residential Specialist (CRS) and Graduate of the Real Estate Institute (GRI) designations. She is a past member of the Board of Directors for the Greater Nashville Realtors and a past member of the Board of Directors for the Tennessee Association of Realtors. She has several times been selected by the Nashville Business Journal as one of the Top 25 Residential Real Estate agents and is a Lifetime Million Dollar Producer. She has been chosen to be a speaker at the Top Producer Panel for the Greater Nashville Realtors, and has served on the Southern Land Company Advisory Board and the Nashville Predators’ Advisory Board. Mary Sue has two daughters and two grandchildren. She attended undergraduate school at the University of Illinois and graduate school at Northwestern University. She enjoyed teaching prior to joining the real estate profession. She loves all aspects of real estate, and loves working with buyers and sellers. She has a very outgoing personality and is known as a strong negotiator. She loves to play tennis…has a canoe…and enjoys all sports. American Association of University Women, Cheekwood, the Nature Conservancy, the Nashville Symphony Guild and Friends of Children’s Hospital. Her favorite charity is Habitat for Humanity…and has helped build over 20 Habitat homes. She also serves on the Habitat committee for the Greater Nashville Association of Realtors.